With the time search engines started to measure success of a blog by popularity it has grabbed. So, SEO started to take consideration into number of links or votes to a particular blog. Search engines see these links as vote of trust. These links also known as Backlinks. Then past bloggers started to think deeply about these backlinks. They designed their own strategies to build Backlinks. This post is about one strategy I found over the past years. I’ll tell pros and cons of this method at the end of the post. What you do in this method is grabbing Backlinks from all the pages of a blog which is popular. For that you need some great blogs with the features I mention below. You need to find blogs which are consisted of those features, unless you’ll get low quality Backlinks. If you can’t find blogs which have features I mentioned below, don’t worry adjust it with your own features. Because owner gave much efforts to get into that rank. To find PR high blogs. You can use blog directories. If you have installed Google Toolbar it’s easier to find PR of the blogs you surf. Because blogger fought continuously to capture that rank. Just visit top 100,000 blogs in Alexa. If you use Alexa toolbar it’s also make easier to find rank. Only if you want some traffic from this method. You can find popular blogs by using various ways. Sometimes bloggers show some stats on their blog posts. RSS Subscribers, Twitter followers, FaceBook fans and so on. You can use some SEO tools to check those. You can use the amount of comments get a rough idea about their loyal readers amount. First of all see that Top Commentator Widget. How many comments do first one written in that blog?20… No matter what number the first one is have. See the last commentator on that list. You need to comment and pass him to get this strategy to work. and for your stability on the list it’s good to pass another two commentators on that list. You need to keep an eye on all the list of blogs whether you’re in or out. My kindly request is Please Don’t Spam On Blogs That You Have Filtered. When commenting DO NOT use ONLY your primary, secondary or any other keyword in the name field If you want to get your comment approved. You must use your name rather than your keywords to show them you’re a real guy who read their posts. And if you don’t want to be catch in Spam box, you must use your name. You can use this method too. yourname @Keyword. Manage to be in the list of top commentators on all of the blogs in your spreadsheet. At the end you’ll have huge number of Backlinks. But not much high quality. Now you might be thinking how I get massive number of Backlinks when I capture a rank in Top Commentator Widget. Ya, it’s true. You get Backlinks from all the pages on that blog. Here’s how it happen underground. The theme of blog is static one. Their homepage is also static. It does not change like post pages. Top Commentator Widget is placed on one of their Sidebars. Sidebar is also static. If you link to a particular blog in one of your post, then that link is only available in that post only. But links in sidebar can be accessible from every page of their blogs. And then once you get into the Top Commentator list your name and keyword get into that list. That means you are available to access from all the pages of that blog. If your chosen blog has 1000 indexed pages on Google. You’ll have 1000links to your blog. But if you don’t manage to be in the list, you’ll lose some Backlinks. That is how it happens underground. Most bloggers know little about Google and their smart algorithm and rules. Because Google don’t tell all of them. Anyway Google don’t like Instant Link Building or Instant Backlinking. Google likes natural link building. So it’s a very big risk to get penalized by Google Search Engine. But you can reduce that risk by arranging some points. When I say about no-follow tag, don’t worry about it. I’ll eliminate your misunderstanding about no-follow tag.. Bloggers started to exchange and sponsor links in their sidebar. Google started to see this as a bad thing and introduce No-follow tag. Here’s how Google describe this no-follow tag. But if you needs to reduce risk. This way is the best. But you don’t get direct link juice transferring Backlinks. You can get traffic directly. Once you are going run your pursuit in this mode. You need to have a clear idea about that blog, Deep understanding of the blogger. You need to make the decision whether the Blog will be Popular. Unless it’s not going to help you in building Backlinks. When you choose new blogs, You don’t get Backlinks Instantly, but natural way. Because early days of the blog hasn’t large number of pages. 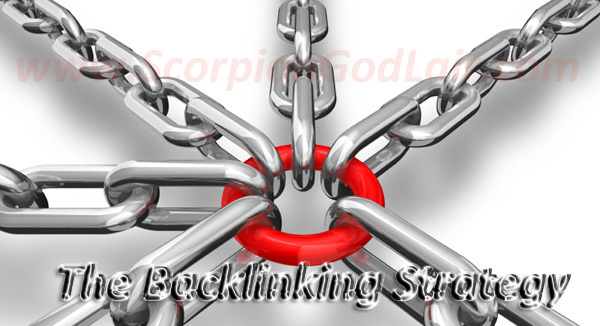 You can get lots of Backlinks with less efforts. Google and Other major search Engines don’t like Instant Backlinks. All of the links coming from a single blog. There are chances to lose those Backlinks. I don’t recommend doing this. Do it at your own Risk. What you think about this Strategy?